LAS VEGAS (Feb. 8, 2019) â€“ Towbin Motorcars, located at 5550 W. Sahara Ave., has introduced Karma Automotive to its collection of luxury cars. Karmaâ€™s sleek, Southern California-made luxury-electric Revero is available now for the first time in Nevada. We have wanted an electric car brand for some time and anytime we add a brand it is a painstaking process. We must consider the trust and reputation we have built with the community,â€??? said Jesika Towbin-Mansour, Managing Partner of Towbin Motorcars. â€œWith Karma and the Revero we found the right electric car brand to complement our showroom. The cars are built in California with a level of craftsmanship and materials that exceed any other product in the segment. We are thrilled to be the first and only dealer in Nevada.â€??? Motorcars is now among 17 Karma Automotive dealers, as well as a factory-owned store, in the United States, Canada and Chile to offer Revero, which is meticulously handcrafted at Karmaâ€™s Innovation and Customization Center in Moreno Valley, Calif. Revero offers several sustainable features, including minimally-tanned leather, unlacquered paint, reclaimed wood trim and more. Other standard features include dual-zone automatic climate control, brakes from famed Italian firm Brembo, 240-volt Level 2 AC and CCS DC charging capability, a rear-view camera, front and rear park assist, and an infotainment system with a 10.2-inch touchscreen and navigation. Revero is priced from $131,400 to $139,500 with all options included. The same commitment to detail and excellence is extended to Karma owners, who receive unrivaled personal support. Karmaâ€™s VVIP California Experience, during which Revero owners can participate in a three-day curated program, illustrates the automakerâ€™s belief that ownership needs to be memorable and special, and that becoming part of the brand includes connecting with the people that stand behind it. â€œTowbin Motorcars is a best-in-class business partner who will help Karma provide the kind of personalized VVIP treatment discerning luxury customers demand and deserve,â€??? said Joost de Vries, Karma Vice President of Global Sales and Customer Experience. â€œThe Towbin Family has a rich history in the luxury automotive business and we expect their expertise and commitment to owner experiences that are both personal and special will contribute to our continued growth in Las Vegas and the United States.â€??? More information about Karma Automotive and other luxury brands within the Towbin Motorcars portfolio is available on the website at www.towbinmotorcars.com<http://www.towbinmotorcars.com/> or by calling 702.932.7100. Owned by mother, Carolynn Towbin, and her daughter, Jesika Towbin-Mansour, Towbin Motorcars is the exclusive Las Vegas dealer for some of the top brands in luxury automotive including Aston Martin, Bentley, Rolls-Royce, Ferrari, Maserati and Karma. Towbin Motorcars is located at 5550 W. Sahara Ave. between Decatur Boulevard and Jones Boulevard. More information about Towbin Motorcars is available by calling the showroom at 702.932.7100, on the website at www.TowbinMotorCars.com<http://www.TowbinMotorCars.com>, on Facebook at www.facebook.com/towbinmotorcars<http://www.facebook.com/towbinmotorcars> and on Instagram @TowbinMotorcars. Karma Automotive designs, engineers, assembles and markets luxury electric vehicles, all from its Southern California base of operations. Founded in 2014 and employing nearly 1,000 people worldwide, Karma Automotive is committed to elevating and growing the luxury mobility experience for its customers and draws on global relationships and technology partners to achieve this. Named Green Car Journalâ€™s 2018 Luxury Green Car of the Year, Karma Revero is a luxury electric vehicle powered by dual electric motors that embodies the companyâ€™s goals of offering leading automotive design, technology, customization and an outstanding customer experience. 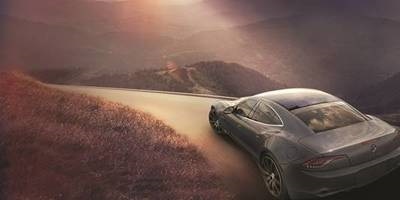 Learn more about Karma Automotive and Revero at www.karmaautomotive.com<http://www.karmaautomotive.com> or visit the password-free Karma Newsroom at www.karmanewsroom.com<http://www.karmanewsroom.com> for the latest press releases, videos and images.